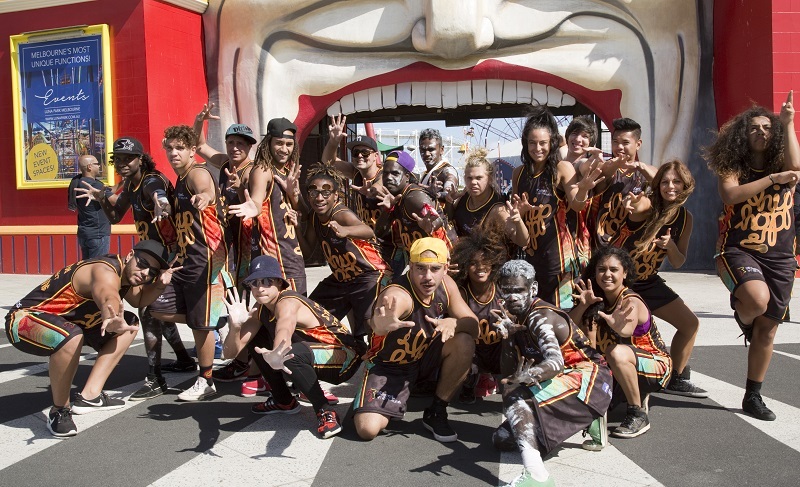 3.20pm - Performance and Hip Hop workshop with Indigenous Hip Hop project. What to wear: Please wear a coloured top of your Big Dance colour group, either red, white or black. We suggest you wear pants that do not restrict movement. Please wear comfortable shoes for dancing, and bring a jumper in the event of cold weather for rehearsal (to be removed when performing). What to bring: Please bring as little as possible to the event. We will not be providing a cloakroom and ask that you keep your belongings with you during performance. We would suggest a purse (or a small sling bag), water bottle and sun screen. City West Water are providing a water refill station. Wet weather: Big Dance will be moved to Deakin Edge (within Federation Square) in the event of rain. Traveling to Federation Square: We suggest you take the train or tram to Flinders St station. Parking is available in the Federation Square and costs $16 on a Sunday. More information here. Access: The undulating surface of the Square is made up of sandstone cobblestones, with a marked access path. Swanston Street offers the best access to The Square and lift access is available from The Atrium. The Big Screen is equipped with a hearing loop and there are accessible toilets located next to Time Out Café. Further information can be found here. We will have chairs available for people wishing to perform the seated version of the Big Dance. Please let a volunteer know on your arrival. Auslan interpreters will be interpreting the event. Food and Beverage: Food trucks including Nem n Nem, Vietnamese Hawker Kitchen will be onsite during the event. There are also a number of cafes within Federation Square. If you have any questions, or require any more information you can contact us atinfo@bigdance.org.au or call 03 9689 2055. Yung Philly is an MC and is currently in his 14th professional year. Commencing MCing for dance events in 2007, he has hosted for events: World Supremacy Battlegrounds (previously Groove), Got Swagg?, UDO Australian National Dance Championships, Relink the Elements, City Sessions, RMIT Bust-A-Groove and Step Off! Neil Morris aka DRMNGNOW is yorta yorta, ancient in the now . Prolific performer in Naarm (Melbourne ) for a few years now, mc, instrumentalist, poet, keeper of song, evoking vibrations of lore into the now . Known for experimental beats driven sounds fusing indigneous singing, hip hop, soul, experimental beats and other things that emerge in his genre pushing sound. Recently released track "Australia Does Not Exist " a potent political analysis of the state of nationhood in this land featuring Philly , Adrian Eagle, Culture Evolves and Pataphysics on co production. Track has sent enormous waves through the Melbourne music scene with unanimous critical praise locally and globally by hip hop legends included. Within first month of release recieved Triple J play and play globally including in The USA , Canada and France. DRMNGNW has shared stages with REMI , Sampa the Great, Joelistics, Nfa Jones , Thundamentals , Black Jesus Experience, and Barney McCall amongst many and is known in Naarm ( Melbourne) as a collaborator with a vision to empower and highlight unique voices of people of first nations and other people's of colour. Origins Dance Company is an exciting performance based company that provides developing young artists with professional level performance experience and exposure to leading Contemporary dance choreographers & artists. Origins is the youth sector of dance institution Transit Dance. Living up to the renowned Bollywood choreographer Shiamak Davar’s motto “Have Feet. Will Dance”; SHIAMAK Dance Team continues his mission to spread the joy of dance and performing arts across the globe in India, USA, UK, Canada, UAE and Australia in Melbourne Sydney , Canberra and Brisbane. 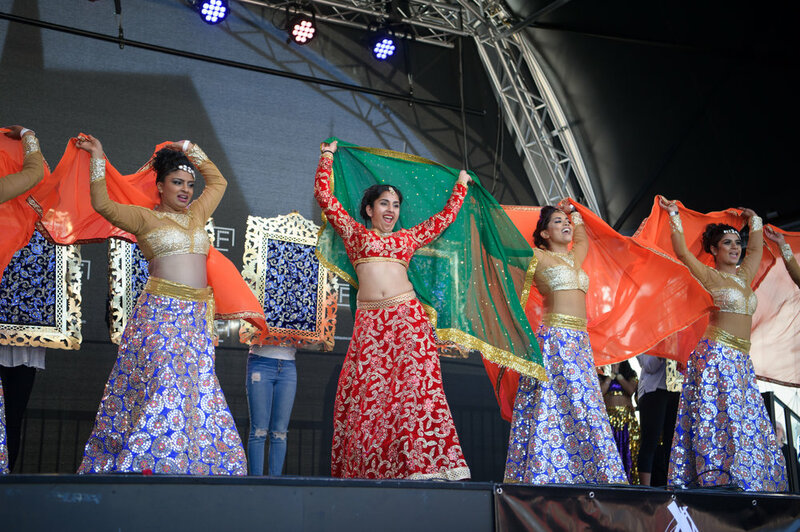 Shiamak’s Dance Academy Team holds the Guinness World Record for teaching the largest Bollywood Dance Class in Melbourne with 1325 Dancers. 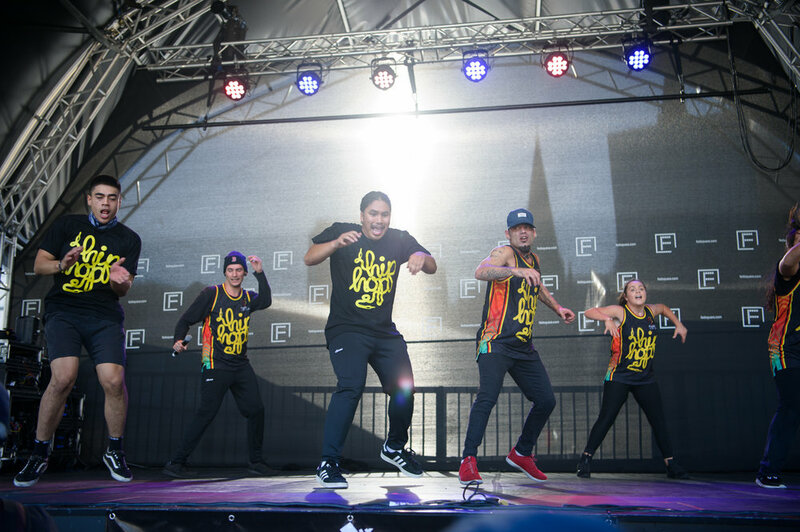 The team has been associated with and performed at elite events across Australia including PM Narendra Modi’s Reception in Sydney All phones Arena, Launch of ICC World Cup 2015 Melbourne, AFL Multicultural Match in Etihad Stadium, Canberra Multicultural Festival, Indian Film Festival Melbourne 2011- 2015.
e.motion21 is a not-for-profit organisation that provides innovative dance and fitness programs for children and young adults with Down syndrome. 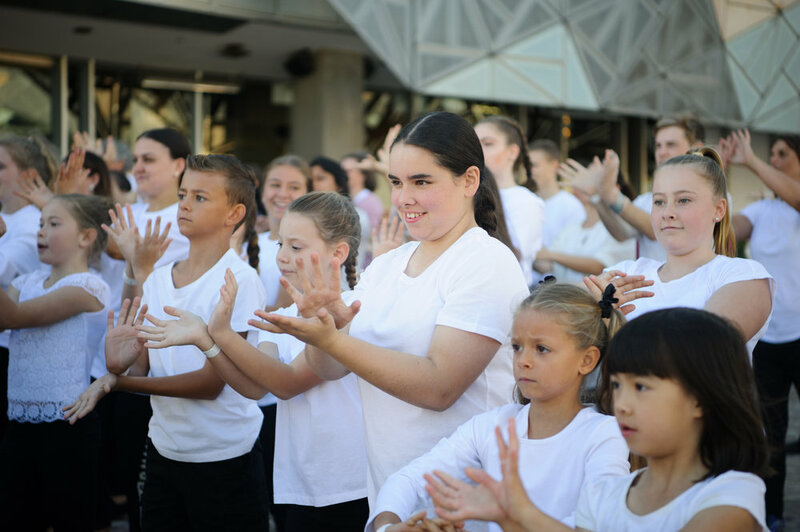 e.motion21 has specialised programs offered in eight Victorian locations with the vision of enhancing lives and changing perceptions of Down syndrome within society through dance fitness and performance.